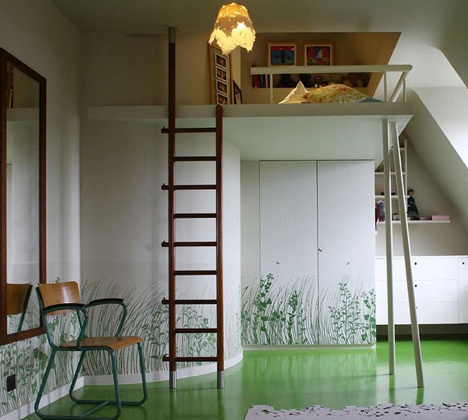 Adults sometimes have trouble with the associations a bunk bed conjures to mind. Lofting full-sized beds may be the best-kept secret when it comes to bedroom layouts: they can make room for entire desks or dressers below and represent a far cheaper alternative to moving apartments when you run out of space. Consider, for example, these stand-alone ideas and built-in solutions from via Remodelista. 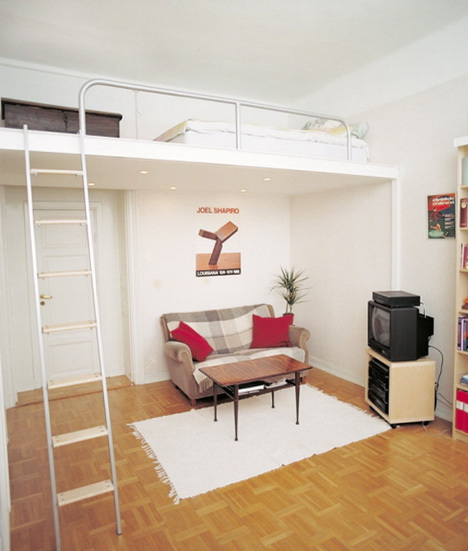 Minimalist metal ladders and railings can make a lofted sleeping area feel much less childish, while decorative touches can integrate an elevated portion of a bedroom without rendering it visually detached from core themes of material, color or decor. Of course, building out an entire section of a room is not a simple do-it-yourself project. 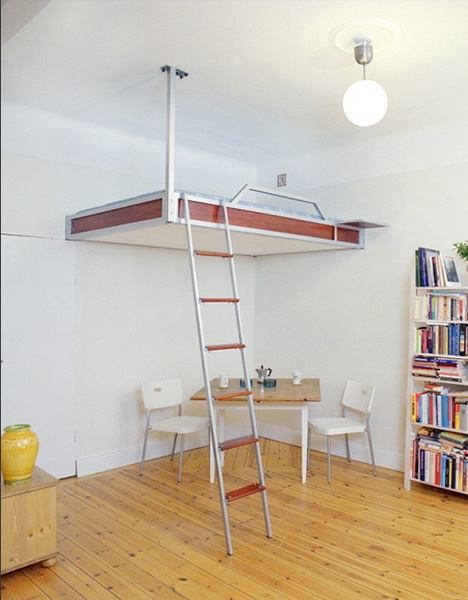 There are other prefab solutions available, like ceiling-suspended beds that hang from heavy-duty supports tied in above (and reinforced by structural connections along adjacent walls). For the truly space-poor apartment, the sides of a room may be close enough to warrant stretching something between opposite walls and either tying into hidden studs or building a second layer of support on the outside of a drywall-finished and painted surface. Just think about it for a moment: beds take up the same amount of space regardless of the size of your dwelling. Thus, the smaller your habitat the more area they displace. 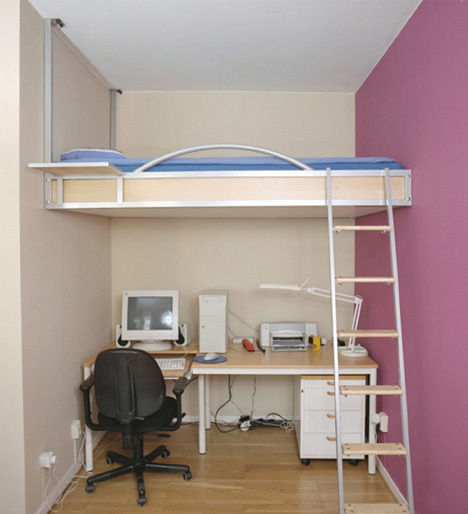 Recapturing that lost square footage can be well worth the time, effort and/or up-front costs of buying and installing a loft-bed solution.